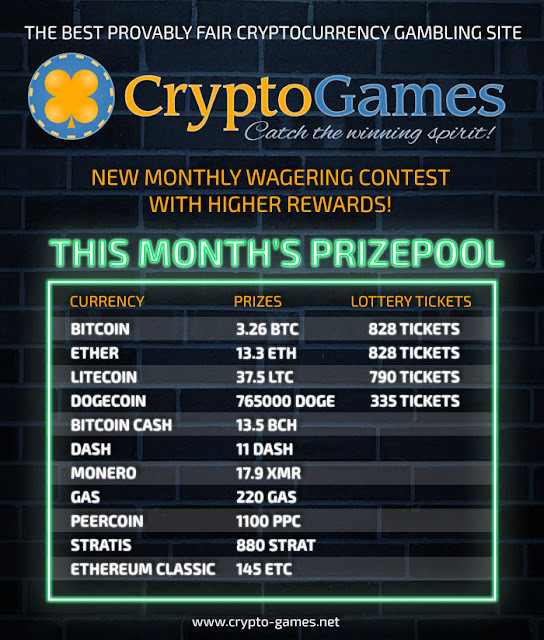 Even bigger rewards on monthly wagering contest! In order to make the monthly wagering contest even better we added rewards on all coins! 5 direct rewards on all other coins except Playmoney.